Xiaomi Company continues to expand its range of products offered. Recently, he added a few novelties. In particular, the Chinese manufacturer has introduced a new external battery with a capacity of 20 000 mAh and mains filter for five nests. It is worth noting that the company continues to maintain its main rules and produces the most quality products at the lowest possible price. The cost of an external battery is $ 23, and a surge protector will cost the buyer $ 6. The new external battery with a capacity of 20 000 mAh differs from its predecessors not only increased capacity but also less weight.Also, the manufacturer notes that the case of the novelty is made of a durable material that better resists minor scratches. To charge the mobile device is equipped with multiple external battery USB-ports to the output current up to 2 A. 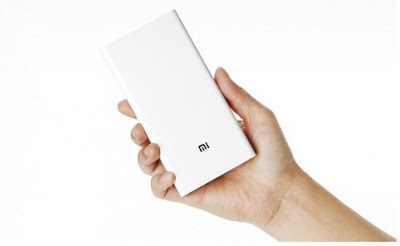 According to the manufacturer, the full charge of the new external battery will be enough to fully charge four times Xiaomi Mi 4, seven times – iPhone 6, and three times – iPad mini. If you wish, you can also use it to charge the MacBook (2015). Capacity of a new battery is enough for 1.2 charging laptop Apple. As for the line filter, then there is nothing outstanding. It contains five standard sockets. Of the minuses are the lack of USB-ports, which would be useful for charging mobile devices.